When the call came in from Women's Premier Fitness, the mission was quickly clear. This is the Atlanta area's most well-equipped women's only health club complete with Day Spa. One problem. Beyond their immediate neighbors their visibility was struggling in a niche where they should have been the dominant player. 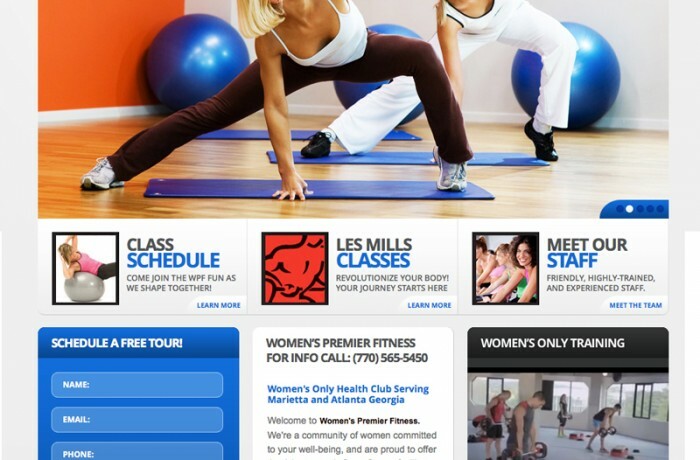 After a website and brand rebuild complete with local signage and heavy search optimization, they now hold down front position in every regional search for women's only health clubs and women's fitness. Ready to discuss how best to energize you website? Feel free to contact us here for a free evaluation.